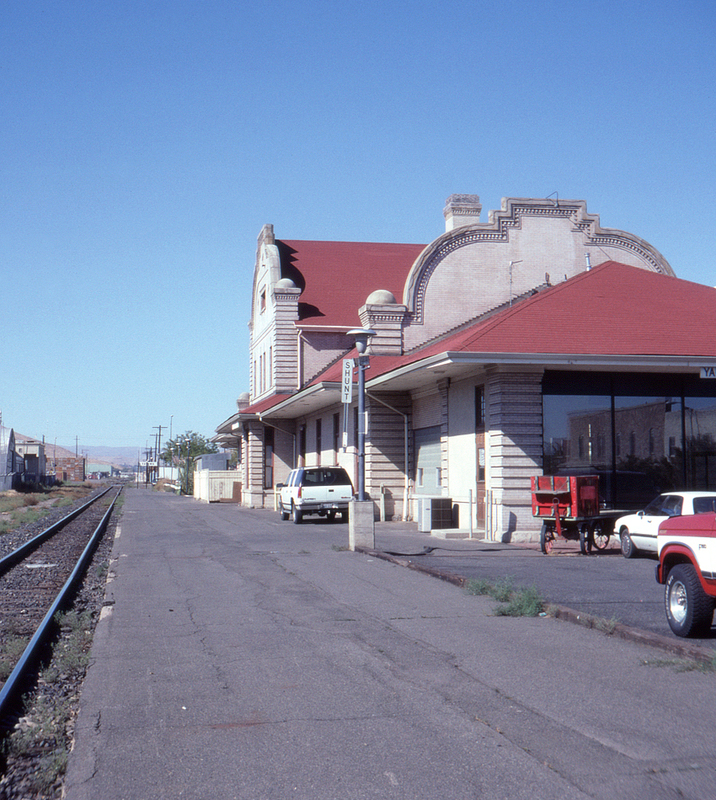 Although the former Northern Pacific mainline is now down to one track at Yakima, Washington, the former station is still in excellent condition and apparently in private hands. And unlike the case with so many repurposed depots, there is no chain link fence separating visitors from the trains. However, the semaphore in the distance which greeted so many passengers for so many years is, alas, gone.